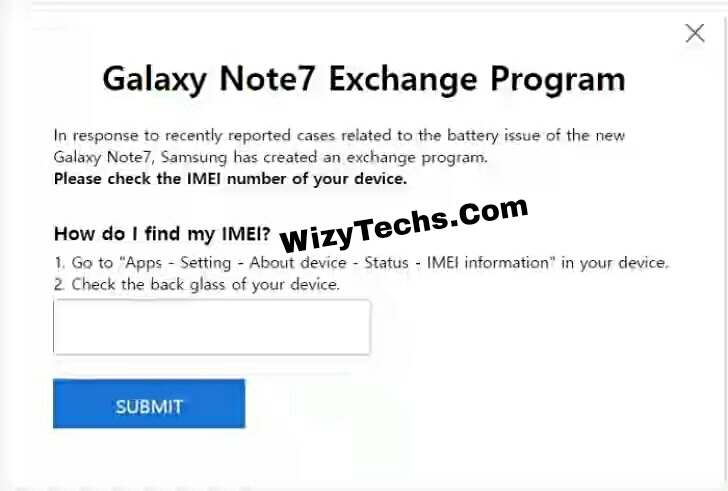 Still on the Galaxy Note 7 burning issues, Samsung has launched website to help owners of the Galaxy Note 7 to check if their phone is faulty and risky of getting overheated as they claimed that the fault is not affecting all units of the device. 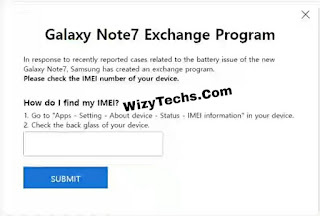 It is called "Samsung's Galaxy Note 7 recall program"
Next, input the IMEI number of your Galaxy Note 7 at the website. To get your IMEI, check the phone’s retail box or simply check it straight from your phone by following this order Apps > Settings > About device > Status > IMEI information. This is really a hard time for Samsung as a company as they have lost so many billions of Dollars from this mishap.